Handmade terracotta tiles, to bring nature into your home. With environmental concerns being a main trend, people are hunting for products for the environment conscious. Terracotta is retaining its lead as the most eco friendly product. For thousands of years, terracotta tiles have been used for interior and exterior areas often used as a stone substitute, terracotta tiles were used for decorating walls of temples. In our modern lives, terracotta tiles definitely add to the aesthetics as well as the green cause. Taken by its innumerable and cost effective qualities, these tiles are now becoming a favorite among builders and home-owners. Terracotta tiles are made of the basic natural elements, water, clay and fire. As they are usually hand made and fired, no two Terracotta tiles look exactly the same. The color of terracotta ranges from honey, salmon pink to dark red. The thickness of the handmade tiles is usually 23 mm. Terracotta tiles comes in a variety of patterns, shapes and sizes. If the terracotta tiles are properly kiln dried, they are not affected by the atmosphere or any elements. But being porous they need to be sealed. Once sealed, Terracotta tiles are heat resistant as well as water resistant. They are also bacteria and allergen resistant. These tiles are not as hard as the conventional tiles, yet they are more durable. Once sealed, terracotta tiles can be used almost anywhere. Apart from flooring they can also be used for walling. 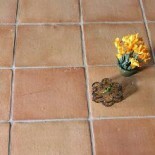 Due its properties, these tiles can be used in patios and driveways. Inside they are popularly used in the living room, kitchen and bathroom. these tiles are do not feel cold under foot like stone or ceramic. 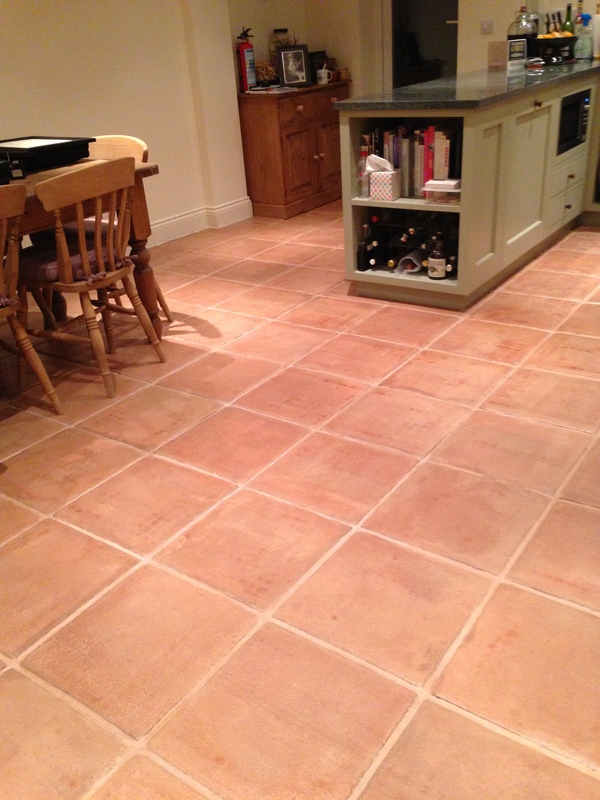 Terracotta tiles are very versatile. Terracotta tiles are simple and easy to maintain. Floors tiled with terracotta just needs to be thoroughly swept and cleaned with a damp mop there are several terracotta cleaners available in the market. Eco-friendly in nature, terracotta tiles are heat and water resistant and bacteria and allergen resistant. They are suitable to be used anywhere in the house and looks better with age. Being porous, they create a climatic balance in the room. Lastly, they are durable, affordable and easy to maintain. This entry was posted on June 20, 2013 by Living Terracotta in General info.